Bookies don't give challenger Ricky Summers much chance of taking Frank Buglioni's British light-heavyweight belt at the O2 in London. You can get around 8-1 on a shock win for underdog Summers, and while this may be beyond him at this stage of his career it could be a more competitive fight than some are expecting. Buglioni won the belt in dramatic fashion against Hosea Burton in December. Well behind on the unofficial Sky Sports cards going into the last two rounds, he dropped Burton in the 11th and again in the 12th before finishing him off in a remarkable turnaround. He came up short in a world-title challenge at super-middleweight in 2015 and in a European title fight a year earlier, but Buglioni is an experienced and solid campaigner at this level. Summers has spent his entire career fighting novices and journeymen - only once has he been in with a fighter with more wins than losses on their record - but he has known about this challenge since February and looks in great shape. 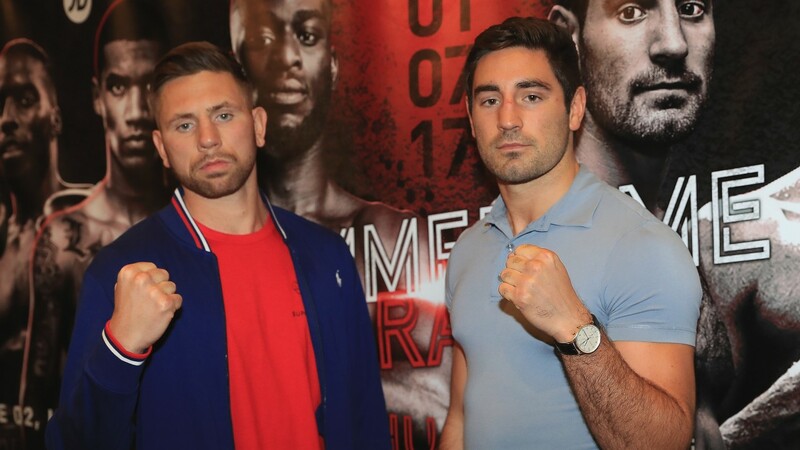 It hard to know how he will fare given his lack of top-class contests, but Buglioni can often look pretty ordinary and if he has an off-night he may struggle to put Summers away.